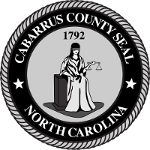 ​The Cabarrus County Board of Commissioners makes appointments to a number of boards, committees, commissions and authorities. All citizens of Cabarrus County are encouraged to volunteer to serve on these boards/committees by completing an appointment application. Board and committee appointment applications are accepted throughout the year.